Floral prints maxi dress perfect for the weekend or resort getaway. 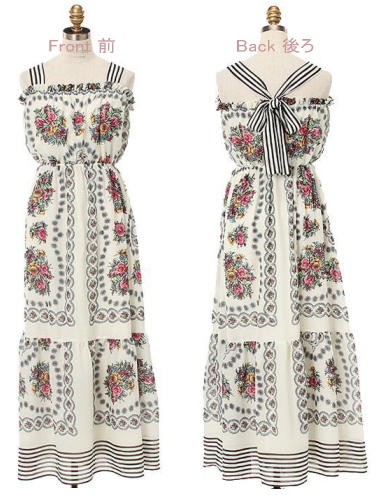 Lovely vivid color flower prints mix with borders on the straps and along the hemline, creating a very vintage look. Length of the dress is adjustable by the straps, tied at the back with a big ribbon tie. Elastic at the waist and top gives the perfect fit.